In 1983, Cyndi Lauper famously sang about girls just wanting to have fun. This mantra remains true to this day. But it’s not only girls who want to have fun; men and boys enjoy their fair share of fun as well. As we age, however, it becomes much harder to have pure, unadulterated fun. Responsibilities such as school and work get in the way of fun and free time. More often than not, adults simply spend their free time sitting on the couch watching television of binging a season of a show on Netflix. But this can grow stale quite quickly. If you’re looking for a way to “just have fun,” then visit Bob-O’s Family Fun Center! As children, anything could be fun. Our imagination was firing on all cylinders. We didn’t have to have the most advanced technology or most popular toys to have a great time. But as time goes by, so does out penchant for imagination and fun. Sure, teens, adults, and the elderly alike can still have fun but there seems to be a societal barrier blocking us from experiencing that childlike wonder once again. It’s as if we outgrow a certain kind of magic the moment we turn 13. It is possible, however, to capture that elusive magic once more, it’s just a bit more difficult since our world isn’t all lollipops and rainbows. Teens and adults must work, study, do homework, pay bills, cook, and so much more that there simply doesn’t seem to be enough time in the day for fun. It doesn’t have to be so bleak, however. As busy as our lives can be, it’s still necessary to devote some time to have fun. Be it with friends, family, or by yourself, it’s simply good for the mind, body, and spirit to break free from the daily routine and do something fun and exciting. If you’re unsure about what to do, gather your friends and family and visit Bob-O’s Family Fun Center! 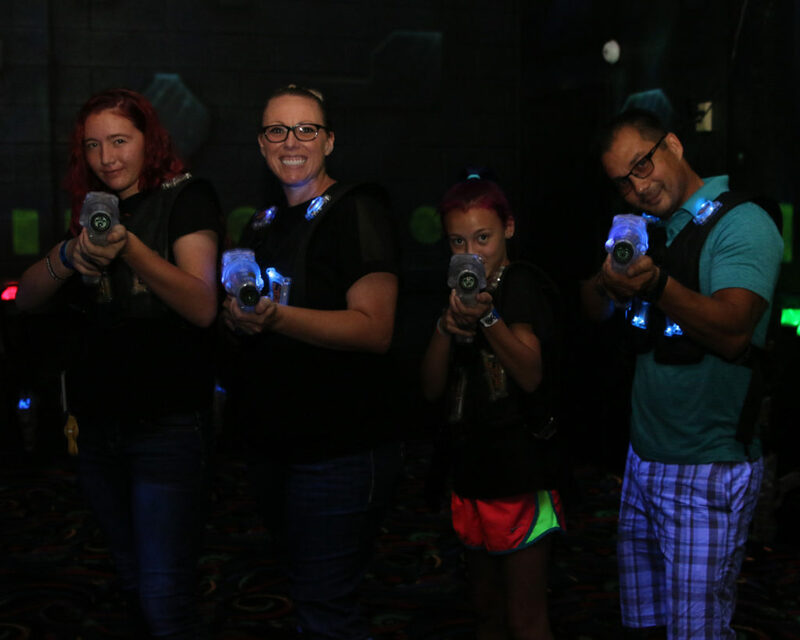 We have so many options for you to have fun. Take our arcade, for instance. When was the last time you played Dance Dance Revolution? It’s probably been a while, hasn’t it? Well, now you’ll be able to see if you still got the moves you had in your youth. If dancing isn’t your scene, don’t worry! Bob-O’s has something for everyone. Book your next fun day out with us and in no time you’ll be able to witness restore your sense of fun! 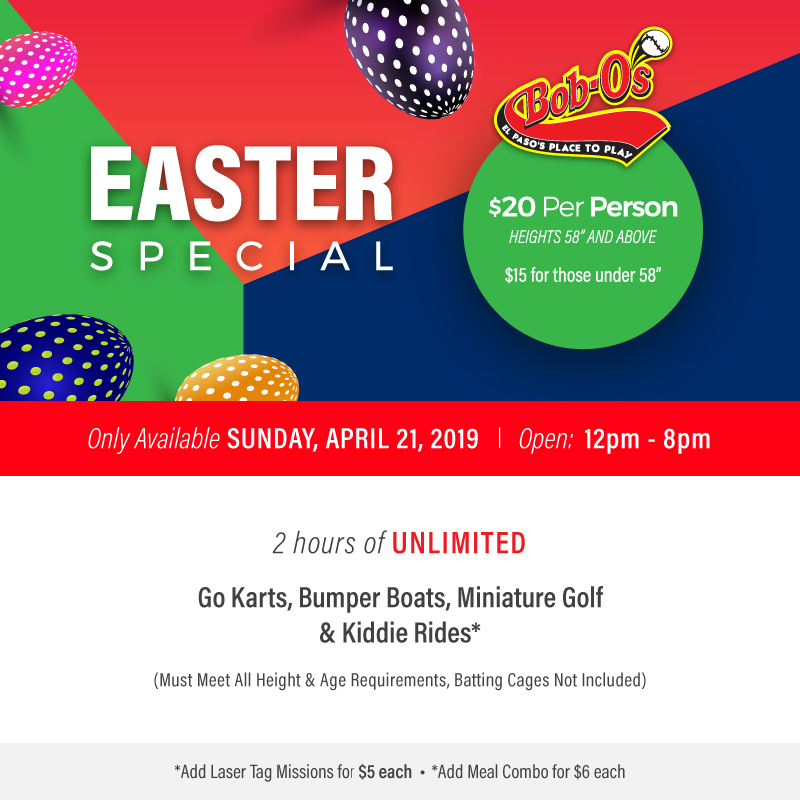 « Make the Most of Your Spring Break at Bob-O’s! Nothing should stand in your way when it comes to having fun.